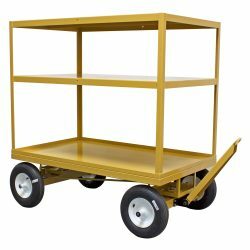 Heavy-duty steel construction with a durable powder-coat finish make Tugger Trailers suitable for harsh industrial environments. Custom designs are available for specific applications. Call BHS at 1.800.BHS.9500 to learn more about Tugger Trailers, or to find your local dealer. 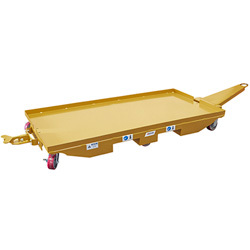 As an original equipment manufacturer, BHS can design and construct Tugger Trailers to meet any specifications. Call the BHS sales team at 1.800.BHS.9500 to find out more about Tugger Trailers and other material handling solutions in your industry.